List of 10 most reliable sewing machines you can buy without worrying about the stitch quality, performance and durability. All sewing machine manufacturers do make mistakes. They all have seen their sewing machines go down without making a name. 8 out of 10 sewing machines released each year is a flop. Only a couple of models have the quality and features to do well in the highly competitive sewing machine market and those few models make up the bulk of the sales. Those machines that tasted success will make up for the loss incurred by the other machines. This is how it works with all sewing machine manufacturers. 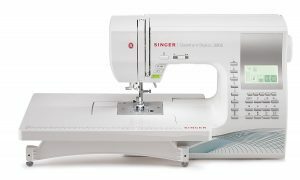 All through my 10 years of sewing experience, one thing I have learned is that there are certain machines that are in a different league when compared to its competitors. Certain sewing machines stand out of the crowd due to their flawless operation and awesome stitch quality. You can handpick them quite easily, provided you have a decent experience with the sewing industry. Such machines are the pride of their respective manufacturers. Here I have handpicked 10 such machines that their manufacturers take pride in producing them. 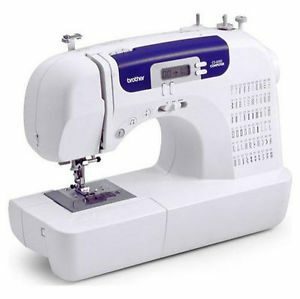 This is the list of 10 Most Reliable Home Sewing Machines that you can get in US. I have deliberately kept the list under $500 as that is the maximum a home sewer will look for (in most cases). This is the most reliable computerized sewing machine in US. You can blindly trust this machine. The stitch quality is excellent and it is feature packed. The most appealing thing is its price. It is the best value for money sewing machine under $200. If you are looking for a machine under $200, I will recommend Brother XR9500PRW all day. 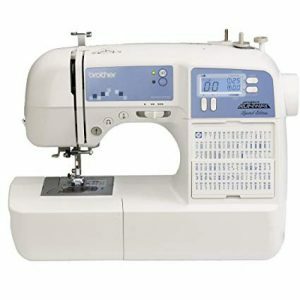 Main Features : 100 built-in stitches (8 one-step buttonholes included), top drop-in bobbin, automatic needle threader, sewing start/stop button, speed control slider, programmable needle up/down button, sewing font for monogramming etc. Pros : Very lightweight. Quiet operation. Handles multiple layers of fabrics very well. One of the easiest machines to set up and get started. Variety of stitch options. And above all, an excellent quilting machine. Cons : Slightly tricky automatic needle threader, which requires a couple of attempts to get used to. The sales volume of this sewing machine is absolutely humongous. Brother CS6000i was released way back in 2007 and it didn’t have a competitor until Brother itself rolled out the XR9500PRW. Until then, CS6000i was ruling the beginner sewing machine market. The arrival of XR9500PRW has slowed down its progress but it is still going strong and it still is the most sought after beginners sewing machine in US. Thus it becomes the second most reliable sewing machine in our list. 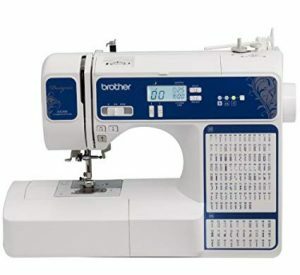 Main Features : Even though Brother CS6000i is a computerized sewing machine, it is not as feature rich as XR9500PRW. CS6000i has 60 built-in stitches (including 7 one-step buttonholes), top drop-in bobbin, automatic needle threader, sewing start/stop button, speed control slider, programmable needle up/down button etc. Pros : Very easy to use. Little maintenance is required. Cons : Narrow machine throat. The arrival of XR9500PRW made it a second choice. When you go for a low price tag, you are compromising on quality in most cases, which is not true with Brother XL2600I. Even though this machine costs well below $100, it is as good as its $150 counterparts. At this price, you can’t find a sewing machine with better features, I swear. Main Features : 25 built-in stitches (including 1 one-step buttonhole), top drop-in bobbin, automatic needle threader etc. Pros : Good variety of stitches for the price. Availability of drop-in bobbin and 1-step buttonhole at this price is a real blessing. Automatic needle threader is another huge plus. Cons : Tension issues. Poor user manual. If you are a creative person, this machine has everything you need. It is the most reliable advanced sewing machine in this list. It is absolutely feature packed. 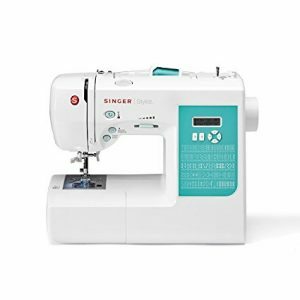 The stitch quality is excellent and its performance is right up there with those industrial sewing machines, which is the reason why it features in Sewing Machine Reviews list of “Machines You Can Buy With Your Eyes Shut”. If you are looking for a feature rich advanced sewing machine, look no further. Pros : Features galore. Easy to do monogramming. It can sew through all kinds of fabrics effortlessly. Quiet operation. Cons : No presser foot pressure adjustment. If you are looking for a sewing and embroidery combo machine, you have limited options to choose from. And among those limited options, Brother SE400 is by far the most reliable one. The best thing about SE400 is that you can enjoy sewing and embroidery on a single machine. What makes SE400 unique from others is the stitch quality for both regular sewing and embroidery. It is a member of our “Machines You Can Buy With Your Eyes Shut” list. Main Features : 67 sewing stitches and 70 built-in embroidery designs. USB connectivity to import unlimited number of designs from the internet. Built-in memory, 5 lettering fonts for monogramming, top drop-in bobbin, automatic needle threader, sewing start/stop button, speed control slider, programmable needle up/down button, automatic thread cutter, 4″x4″ embroidery area etc. Pros : USB Connectivity for importing designs and software updates. Good selection of both sewing and embroidery designs. Excellent stitch quality. Cons : Small embroidery area. This is the best Singer computerized sewing machine under $200. It has quality, features and it is affordable. In the price category, no other Singer machine comes even close to 7258 in quality. So if you are a Singer fan, this is definitely the machine to consider. Main Features : 100 built-in stitches (including 7 one-step buttonholes), top drop-in bobbin, automatic needle threader, sewing start/stop button, speed control slider, programmable needle up/down button, 13 needle positions etc. Pros : Quiet operation. Quality stitches. Good variety of stitches. Cons : No drop feed dog feature which is essential for doing free motion sewing. It came as a big surprise to me to be honest. Singer definitely missed the trick there. Arguably the best heavy duty sewing machine you can get. It is an absolute workhorse. It can sew anything you throw at it. Its ability to sew through multiple layers of denim is unmatched and the stitch quality it has is absolutely admirable. Forget heavy duty, this is the best mechanical sewing machine I have ever come across. The build quality is excellent. Pros : Smooth and quiet operation. It sews everything (almost), it chews through heavy duty fabrics with ease. Sturdy. Cons : Dim work light. Not a lot of features on board. This machine has a power packed motor under its hood. Its motor is around 35% more powerful than any other machine in its price range. 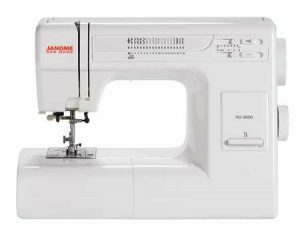 It will be a good choice for those who can’t afford Janome HD3000, because it is the second best heavy duty sewing machine for beginners. Pros : Affordable. Does a decent job with multiple layers of fabric. Cons : Not 100% heavy duty, there are plastic parts for sure. No 1-step buttonhole. DZ2400 is a highly reliable computerized sewing machine with advanced features. It has got a lot of stitches to choose from. The stitch quality is excellent as well. It is specifically designed for designers. The machine also comes with a complete set of designer accessories. 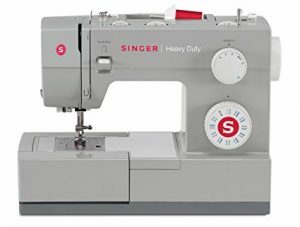 Main Features : 180 built-in stitches (including 8 one-step buttonholes), top drop-in bobbin, automatic needle threader, sewing start/stop button, speed control slider, programmable needle up/down button, sewing font for monogramming etc. Cons : Fragile thread holder. 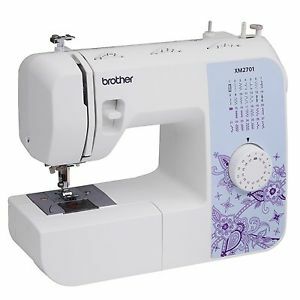 XM2701 is essentially the updated version of Brother XL2600I which is the 3rd sewing machine in this list. So you can expect similar quality from this. This is an upcoming model and is slowly climbing the ladder. 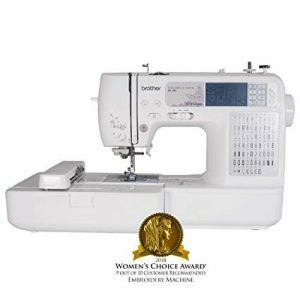 It is definitely another reliable sewing machine in the $100 category. 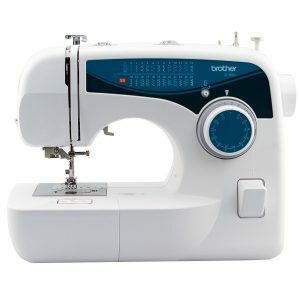 Main Features : 27 built-in stitches (including a 1-step buttonhole) , automatic needle threader, top drop-in bobbin etc. Cons : Work light is pretty dim.